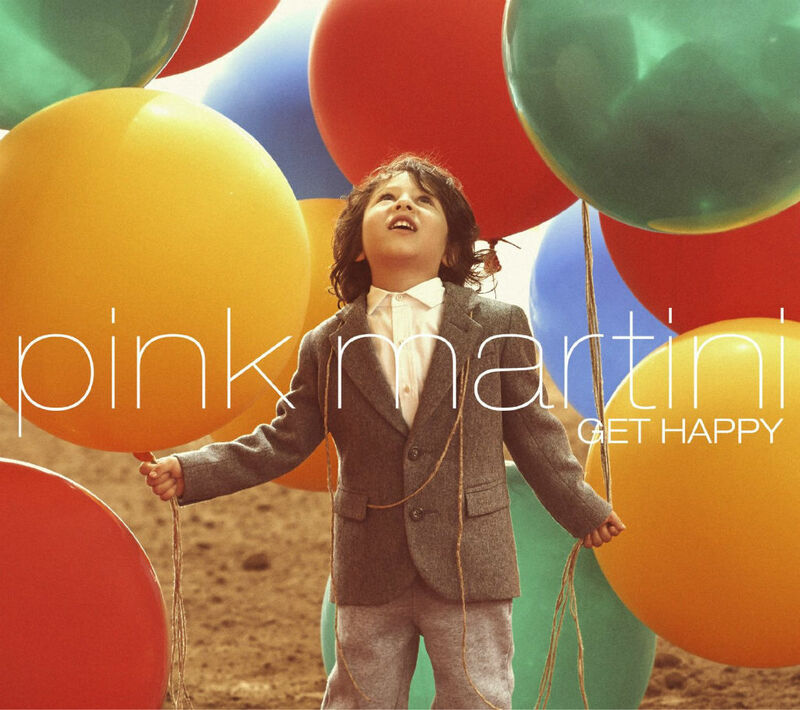 Heading to The Southbank Royal Festival Hall one week ago today I knew I was in for a fun evening with Pink Martini as even their new album title “Get Happy” tells you what’s in store! Following on from their sold out night at The Royal Albert Hall the band played one night at The Royal Festival Hall. 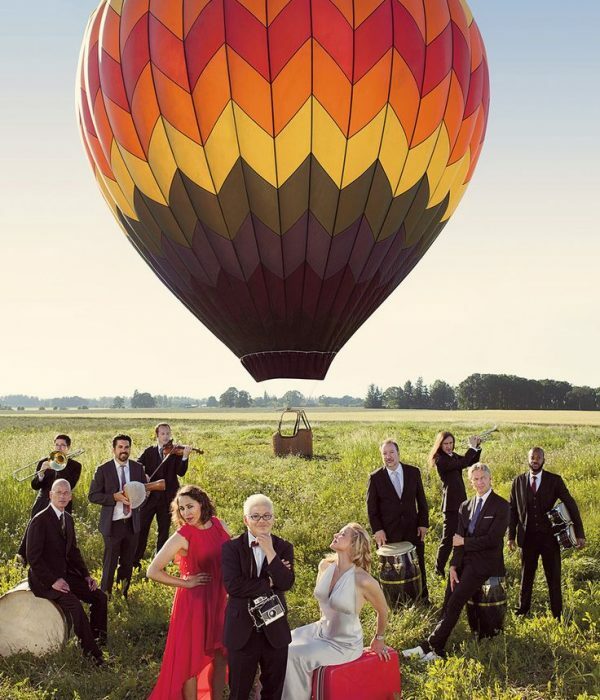 Pink Martini is a musical group that was formed in 1994 by pianist Thomas Lauderdale in Portland, Oregon. Describing itself as a “little orchestra,” its music crosses genres such as classical, Latin, jazz and classic pop. The stage was set with several large balloons adorning the stage (just like the album cover art for Get Happy and the show opened with “Amado mío” from the album: “Sympathique” the first full-length album from the band. The night had begun and boy was it fun! Thomas Lauderdale (the bands creator) on the keys is magical, he plays the piano with such love and attention and a pure joy to hear. Quite sensational to hear Thomas go from Schubert’s “Fantasy in F minor” to “I Will Survive” mixed with “Hit the Road Jack” in the very funny two parter “And Then You’re Gone. But Now I’m Back!” The story of these two songs is one of arranging and rearranging, an eclectic mix of musical styles and a chance singalong. It’s a story that illustrates well what Pink Martini does as a group,still, Lauderdale says he doesn’t consider himself a songwriter but he sure is and a great pianist! In the sophisticated, Technicolor fantasy world Pink Martini create, it seems perfectly natural that they should be joined on stage by the Von Trapp Children – the great-grandchildren of Captain and Maria Von Trapp from the Sound of Music – Sofia, Melanie, Amanda, and August weave impossibly sweet, sibling harmonies yodelling over the impeccable ten-piece band. August performed a stunning rendition of the first song he has ever written “Friend” which made the Festival Hall fall silent; you could have heard a pin drop while the young lad strummed on a ukulele solo and sang a beautiful tale about friendship. 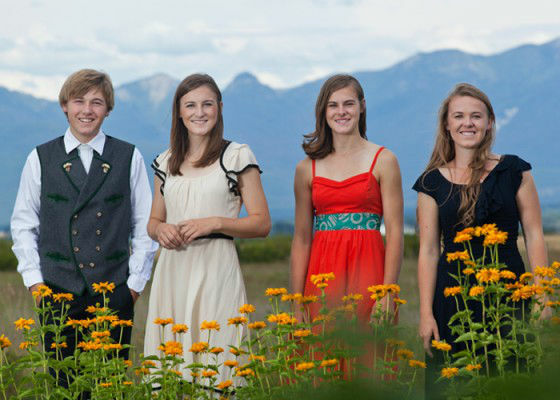 If The Von Trapps tour I would love to see them and I am very excited to hear they are working on an album with Lauderdale, that should be one not to miss. And one highlight from the evening was everyone singing “The Lonley Goatherd” from The Sound of Music! The other numbers from Pink Martini are sung by male vocalist Ari Shapiro (the former National Public Radio White House Correspondent and new NPR London correspondent – he’s looking for a place to live by the way! ) and some people may know China Forbes as the main female singer for Pink Martini; but tonight I was very excited as former rock singer Storm Large was taking the lead. Storm has been a favourite of mine since her appearance on the show Rock Star: Supernova (which unbelievably was 7 years ago now!) You have to hear her version of Pink Floyd’s “Wish you were here” from her time on the reality show as it is divine (and “Ladylike” now there’s a fun song!) Seeing her live was fabulous at the Southbank as Storm sings in a voice that’s as impressive as the recordings Pink Martini have made with China, she sings in several languages and she owns them, the Cuban rhythms just enter Storm’s body and in some sort of trance she dances and dances and gets everyone else to dance too! Fitting that her name is Storm, because she is a force of nature. Wow what a voice! Ari and Storm sing well together but there is nothing that beats “Brazil” at the end of the show with balloons falling from the ceiling, dancing in the aisles and as everyone left there were conga lines all the way to the tube holding onto the ballons! 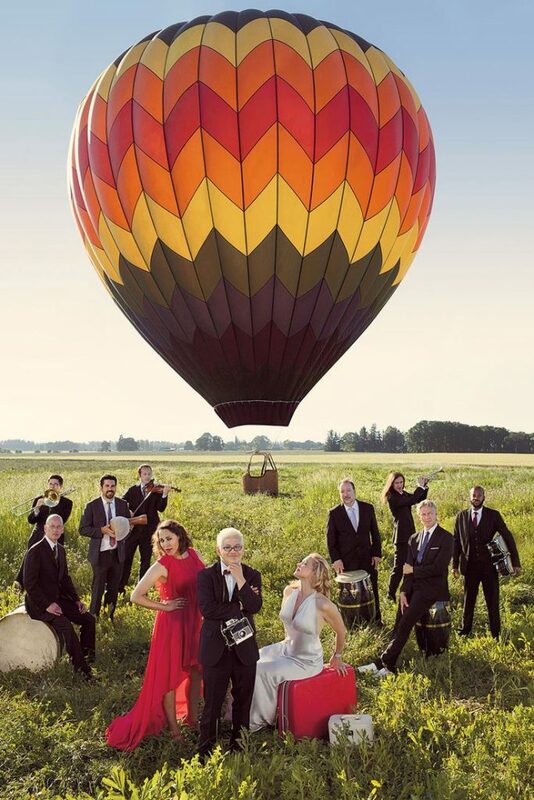 Need a reason to “Get Happy”…..just see Pink Martini! If you are unable to see Pink Martini on tour next year (as they have just announced new dates) make sure you grab a copy of their latest album and start the party off at home as I am still dancing the conga wherever I go!